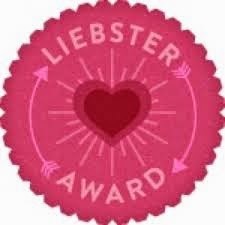 The Liebster Award is an award given to bloggers by bloggers who have been on the scene. This is a way to acknowledge their hard work and encouraging them to do their best. I have received my second Liebster award from Shwetali who blogs at Not so hard to be pretty. Shwetali's blog is basically a beauty blog where she shares her reviews on beauty products, makeup looks and much more. Shwetali basically started her blog to make new friends and she has already made a lot of friends!!! Thank you Shwetali for nomianting me for Leibster award. Questions given to me which I pass on to my nominations. What do you specially do on weekends? Have you ever thought of being full time blogger? Which is your favorite place to visit? Home made food or street food ? What was your first thought when you woke up in this morning ? What cheers you up ? What do you order or not order at restaurant ? What question do you hate to answer ? Have you ever dance on stage? Now my turn to answer the questions posed by Shwetali. I usually take naps, try new dishes, schedule one or two blog posts and skin pampering on weekends. I may think of becoming a full time blogger after completing 2 years of blogging! My favorite place to visit is Switzerland. Home made food or street food? Bobh depending on mood. Street food whenever we go for shopping and home made food whenever Mom is over my place. What was your first thought when you woke up in this morning? I will use less of internet today!! A comment on my blog post :) cheers me a lot. It helps me keeping.up the spirit. If you are a blogger and reading this you would definitely agree with me. What do you order or not order at restaurant? I usually order food items or cuisines which I love eating. Seldom do I order which I haven't eaten. I never ever order non-vegetarian items. Sometimes I never want to tell the truth ( for good reason ofcourse) and someone urging me to do so, is the thing or question I hate. Yes, a whole lot of in school and college gatherings. I always wanted to visit US but still haven't. I hope to visit soon.